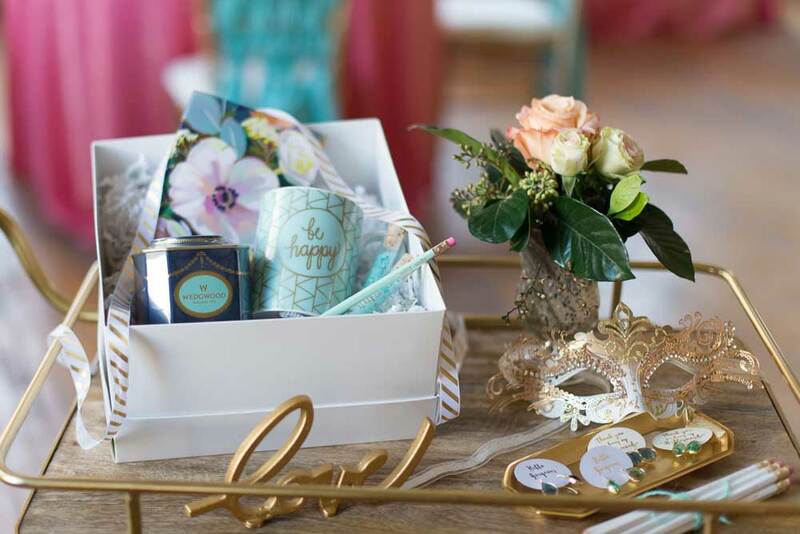 We are so excited to finally share the Glam Peacock Masquerade Styled Shoot on our blog! This has been one of our favorite shoots to date with it’s a perfect combination of our love for vintage and modern styles. 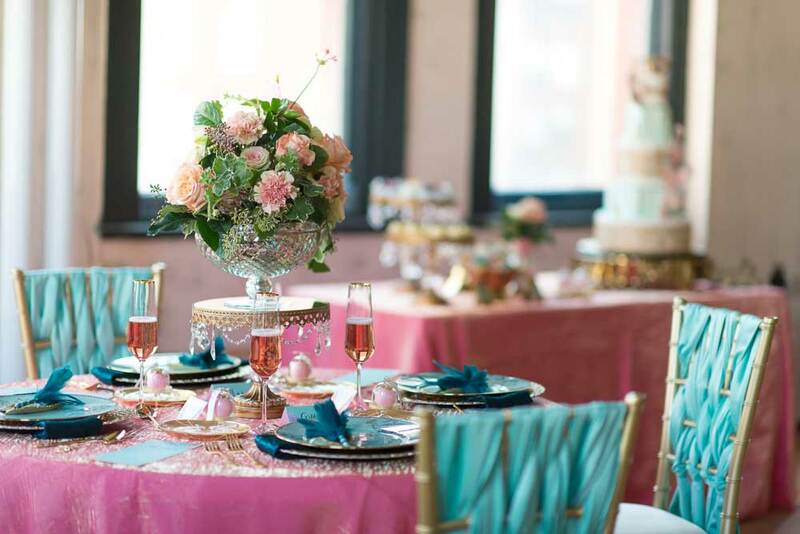 The glamorous shoot took place at the historic DIME Building as part of a celebration of the one year anniversary of the Detroit Rising Tide Society. We had a blast working with all the ladies and were honored to be included in the shoot. 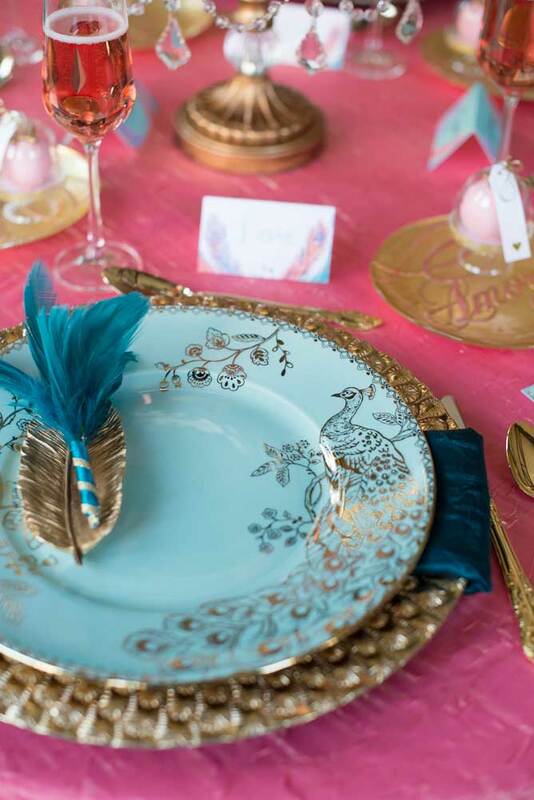 The inspiration for this styled shoot all began when Lynsey stumbled upon a set of gorgeous turquoise and gold peacock plates at a local store. The design concept was expanded after a visit to our favorite linen shop, Special Occasions East. They have so many beautiful options, narrowing it down was not an easy choice! 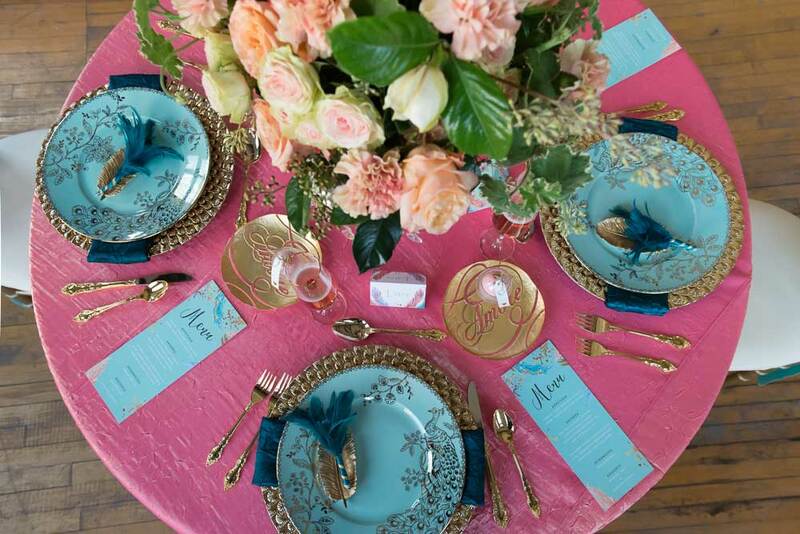 In the end, we decided on a gorgeous metallic coral linen with teal napkins and turquoise chair sashes. To give the shoot a more glamorous feel, we added lots of gold accessories and details. 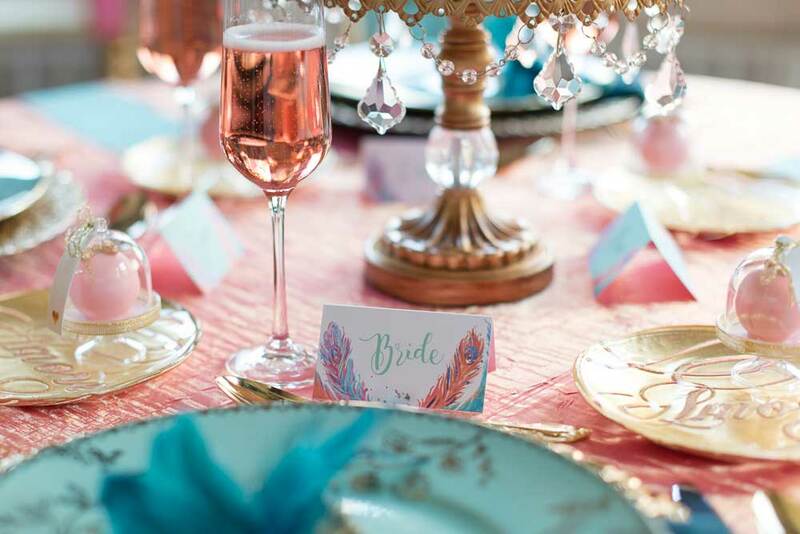 Some of our favorite decor accessories included the crystal cake stands, vintage gold silverware, and mirrored side table. 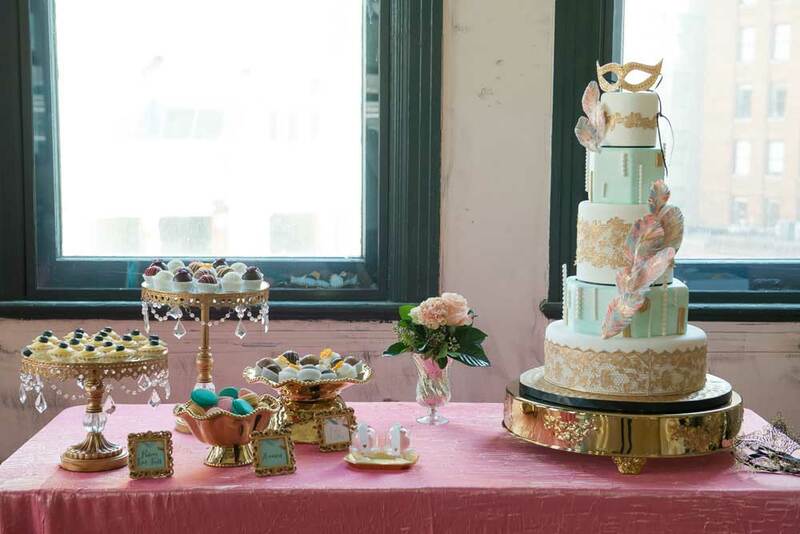 One of the highlights of this glamorous styled shoot was the amazing dessert table, with desserts from Bella e Dolce Cakes! Erin made a custom cake that included a masquerade cake topper, gold lace accents and vertical pearl appliques. 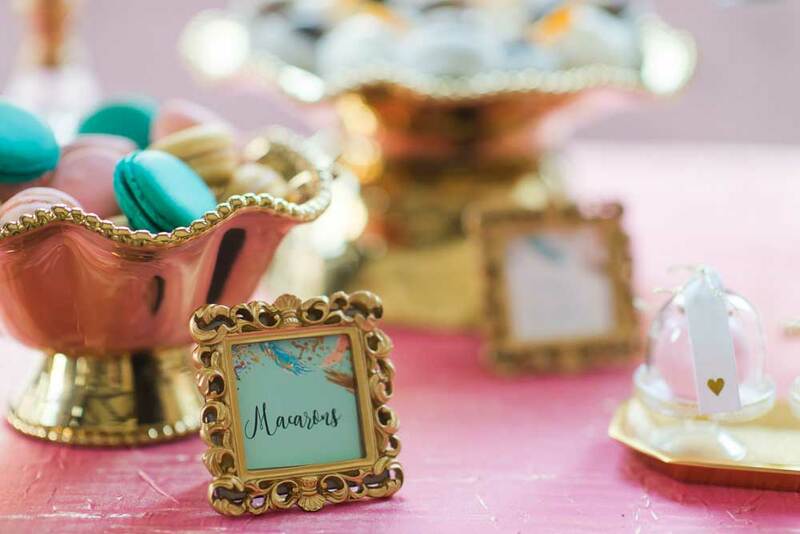 She also created mini-tarts, cake truffles and macarons that were included on the dessert table. Gummy bears and chocolates were also included on the mirrored gold table to create a mini sweets display. We had a blast participating in this shoot. 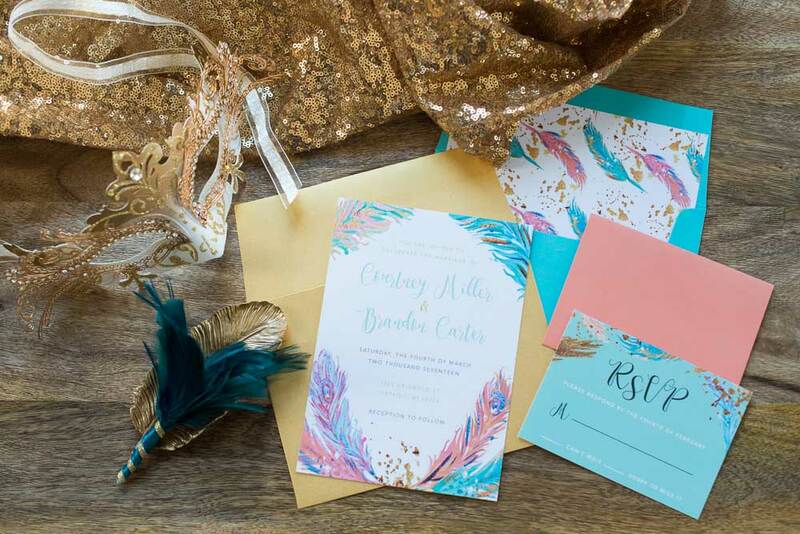 Some of our favorite details also included the stunning invitations and paper goods by Invitations by Caitlin. 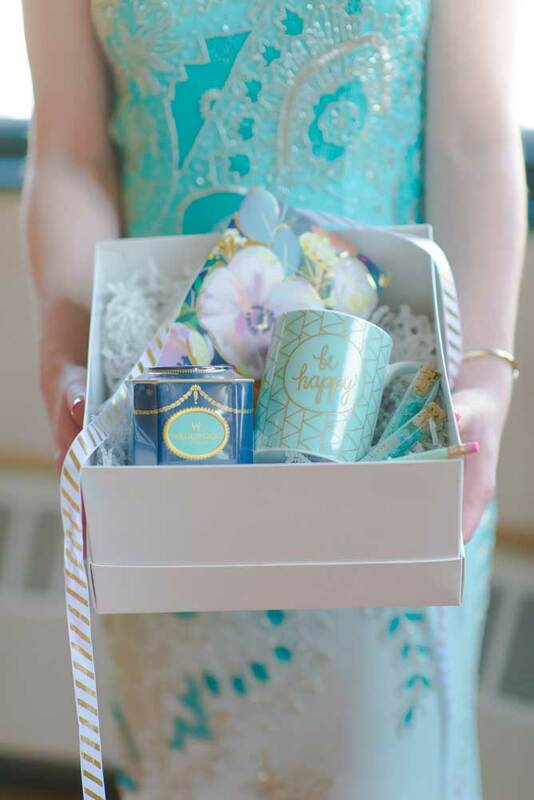 We also loved the gift box that Linda from Ask Your Bridesmaids so graciously sent us. Thank you to all of our amazing vendors who helped this shoot come together! Check out their websites below!